Whether you’re just starting out in genetic research, or you’ve already been studying it for several years, you’re probably already familiar with floxed mice. As many seasoned experts will tell you, floxing is an extremely useful and powerful process by which the Cre-lox system is used to its highest potential. By flanking a DNA sequence between two of its loxP sites, researchers are able to control the knockout process to a greater extent, allowing for advantages such as tissue-specific gene manipulation and the ability to trigger the change at a specific time or through the use of a particular type of trigger. To understand floxed mice, we first have to know how the Cre-lox system really works. Cre-lox recombination is a type of genetic technology that allows for deletions, inversions, insertions and translocations at particular, targeted genetic sites, which can often be triggered through the use of a controlled external stimulus. As a result, the correct use of the system will allow for the activation, repression or exchange of a gene, depending on the needs of the experiment at hand. The technology was initially developed by Dr. Brian Sauer of Dupont, then later perfected to perform deletions and tissue-specific manipulation by Drs. Jamey Marth and Joe Z. Tsien. Where does floxing come in, and why was it developed? The term “flox” actually describes the merging of the terms “loxP” and “flanking,” aptly pointing towards the nature of the floxing process. The procedure involves flanking a DNA sequence through the use of the two loxP sites that flank it. Through this process, researchers are able to specifically target genes for deletion, exchange or inversion, creating a highly accurate means of obtaining the spatial and temporal manipulation of the gene’s expression. 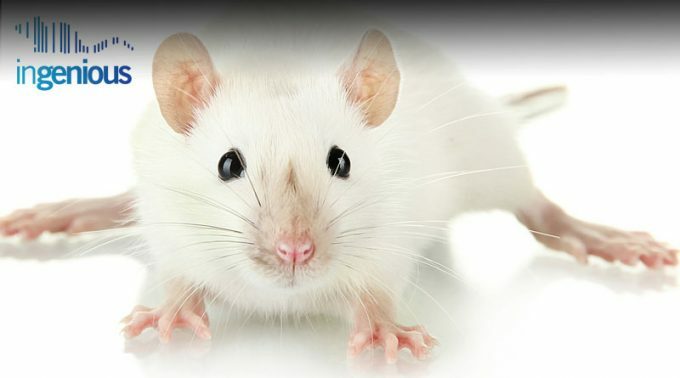 Any gene targeted in floxed mice can, therefore, be altered depending on whether it has to be repressed, completely inactivated or replaced with another gene. As a result, researchers are able to change the gene expression according to specific parameters, or even induce it at a certain time. Furthermore, using precise methods, floxed genes can be limited to a certain tissue – such as the heart, the lungs, the skin or the liver – allowing for an unprecedented level of control when conducting genetic manipulation experiments. Floxed mice have a variety of helpful and practical uses. By altering genes using definitive parameters and targeting specific times and tissues, researchers are able to closely study the relation between the gene and a specific disorder or impairment that affects the tissue in question. Diseases like cancer, diabetes and heart disease, which are known to only affect certain types of tissues or cells, can be meticulously examined and with remarkable results. Moreover, many breakthroughs have also been made in the study of genetic diseases that not only affect only certain tissues or body functions, but are also difficult to research due to their rare occurrence and the limited information and statistical data available on affected patients. By breeding floxed mice, genetic researchers can manipulate the mouse genome to obtain changes similar to those that occur as a result of these diseases. From there, they may be able to develop treatments and drugs that can inhibit or activate the necessary genes to trigger the healing process, or at least reduce the negative effects of the disease. Email us at inquiry@genetargeting.com or call +1 (631) 468-8530.